This post also appears on Waggener Edstrom’s Thinkers & Doers blog. Yesterday, Mashable announced Ford’s plan to unveil the new Ford Explorer via a dedicated Facebook page. Typically, Ford would unveil a new design at the Detroit Auto Show but the team decided to capitalize on an opportunity to make their mark around a product launch. 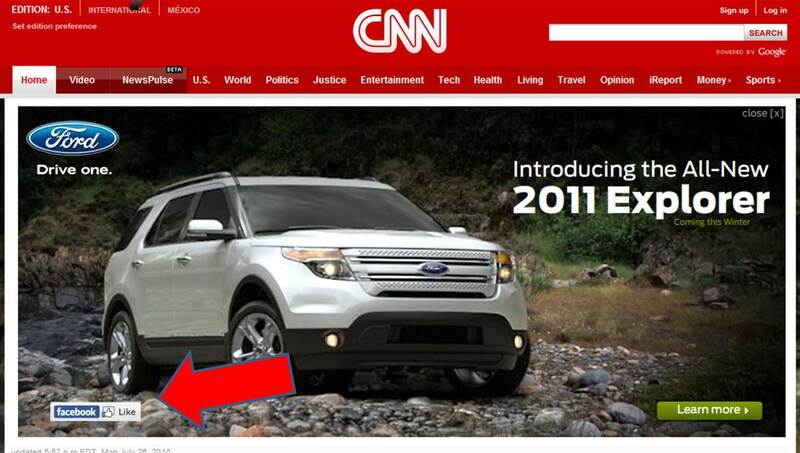 The Ford Explorer Facebook page was created on March 16, 2010. Ford utilized social ads to drive traffic to the page with the promise of giving away a Ford Explorer if the page surpassed 30,000 fans. The giveaway was key in helping build a fan base before launch day. A custom tab labeled “Reveal” was set up to serve as a hub for the launch day activity. In essence, Ford’s newsroom for the day as they positioned themselves as a key media hub. A build-your-own widget was created to assist users in creating their own perfect Explorer. Slideshow from main live event in New York along with a slideshow from unveil events across the country. Live Facebook chats with CEO Alan Mulally, Sue Cischke ( the VP of Environment, Sustainability & Safety), Julie Levine and Julie Rocco (Program Managers), Mark Fields (President, Americas), Moray Callum (Lead Designer) and Jim Holland (Lead Engineer). Though we would all love to think that this innovative launch helped Ford sell zillions of Ford Explorers and created a perfect case study for pairing social media and ROI, let’s look at the approach from a bit more practical standpoint. INNOVATIVE HOOK: This is the first time that Ford has unveiled an automobile outside of a car show. This is the news hook that various news sites and blogs have been picking up. FOCUS ON CONTENT: Appropriate interesting content is necessary to get your target audience involved and enthused about the product. In this case, Ford phased their content so fans were encouraged to return several times today as new content went live. In addition, all content is hosted on familiar social media platforms, encouraging easy sharing and embedding. INTEGRATION ACROSS MARKETING: Advertising, PR, social marketing and direct marketing are all in synch to support and extend the campaign. Brilliant integration of the Facebook “like” buttons into online media ads. CALL TO ACTION: Besides just viewing the content, visitors were able to enter the sweepstakes contest, find unveil events in their market and easily engage with the “build your own Explorer” module. OPEN ENGAGEMENT: The wall posts were honest and seemingly uncensored with good, neutral and negative posts from visitors showing that Ford is interested in real conversation. Ford continues to monitor the posts and is responding to questions and comments. 24 hours later, how did Ford fare from their creative launch? Brian Skepys notes that they increased their fan base by 10,000 fans in one day (currently at 53,000+ fans) and have most certainly prompted competitors to begin thinking about alternative ways to launch cars outside of the traditional auto show setting. WE’s Twendz tool shows strong positive sentiment around #fordexplorer hashtag. In addition, kudos for the team for integrating a promoted tweet into search queries around #fordexplorer. While the Ford Twitter profile remained active throughout the day yesterday, it seems that the team could have done more on the stream to maximize utility around the great content they had created and to tap influencers within target market launches nationwide. On the video front, the spots positioned on the page Reveal tab generated a total of 50,857 views – not bad for day one as this will continue to snowball as buzz spreads. Hopefully the Ford team is digging deep on YouTube Insights to assess the demographics of their viewers and look at the referral links and search terms driving views. 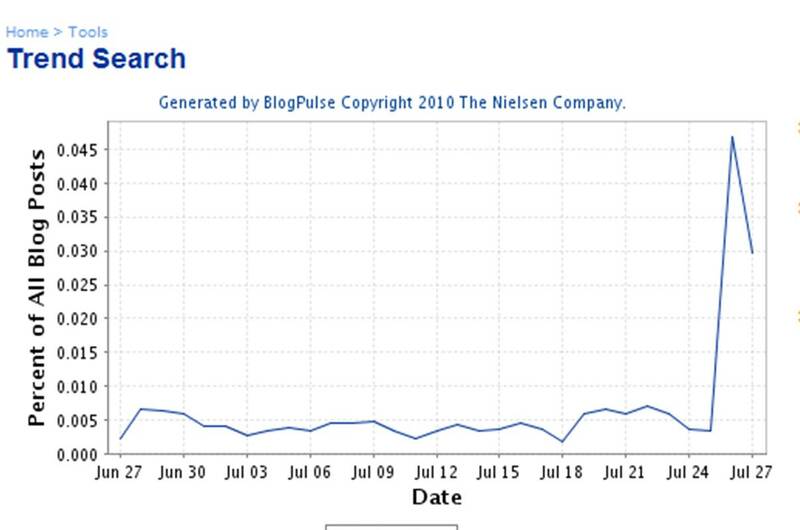 Blog Buzz for "Ford Explorer"
All wall post chats throughout yesterday generated strong response and active dialogue. Kudos for opening up dialogue with consumers from a variety of different perspectives. These chats will likely provide incredible direct feedback from some of their most passionate brand enthusiasts. Hopefully the team will create easy-to-access transcripts of each of the full chat sessions. Did Ford Miss Any Opportunities? Opportunities will always surface after the fact. Ron Callari does note one important potential miss around focusing on the Explorer’s Web-based features. As Ron notes, these features may have been of particularly relevant to the targeted social savvy audience base. Kudos. Time will reveal the full impact of this launch but the fact of the matter is that Ford ditched the old school strategy of dumping millions into traditional advertising and instead created a smart, interactive and integrated campaign that took their messaging and content direct to consumers. For an industry that constantly relies and thrives on innovation, Ford took advantage of an opportunity to step outside of their comfort zone and create an alternate strategy to generating buzz. NOTE: @nathanmisner also provided analysis for this post. Next Post Just A Guy Walking Across America?